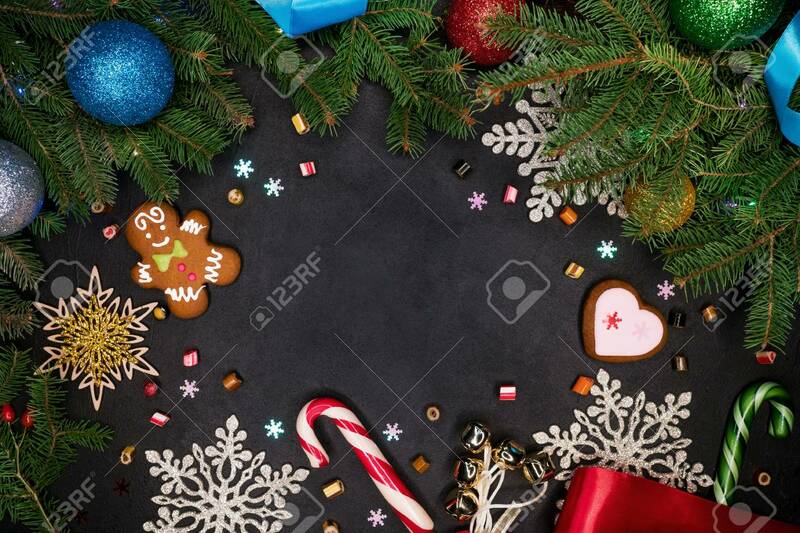 Copy Space Christmas Background - Black Surface With New Year Holidays Decorations - Spruce Branches With Colorful Balls, Gingerbread, Lollipops, Snowflakes. Top View Foto Royalty Free, Gravuras, Imagens E Banco De Fotografias. Image 113085726.